Here is a little Christmas Card Catcher that I created for the holidays!! 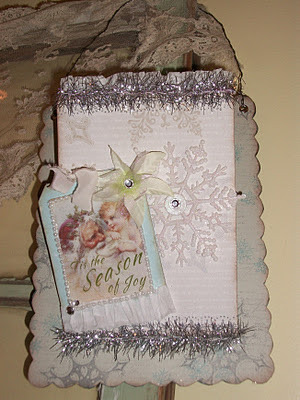 So inspired by Hilary Kanwischer she created the cutest Christmas Catchall....hop on over to her blog she has many little inspiration and creative goodness to share with all. I couldn't wait to dive into making some of these. 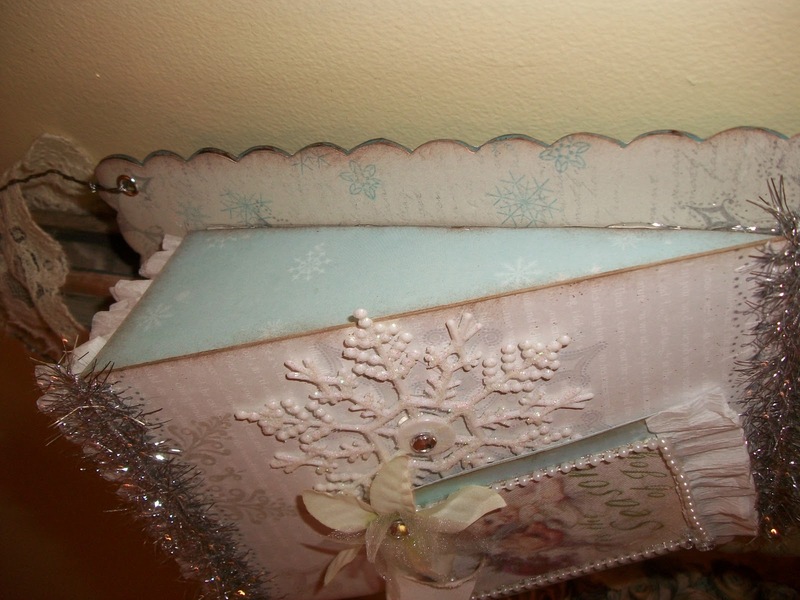 My first one I used some Close To My Heart scrapbooking papers Wonderland with Melissa Frances pretty little tinsel trim, added some little pretties! 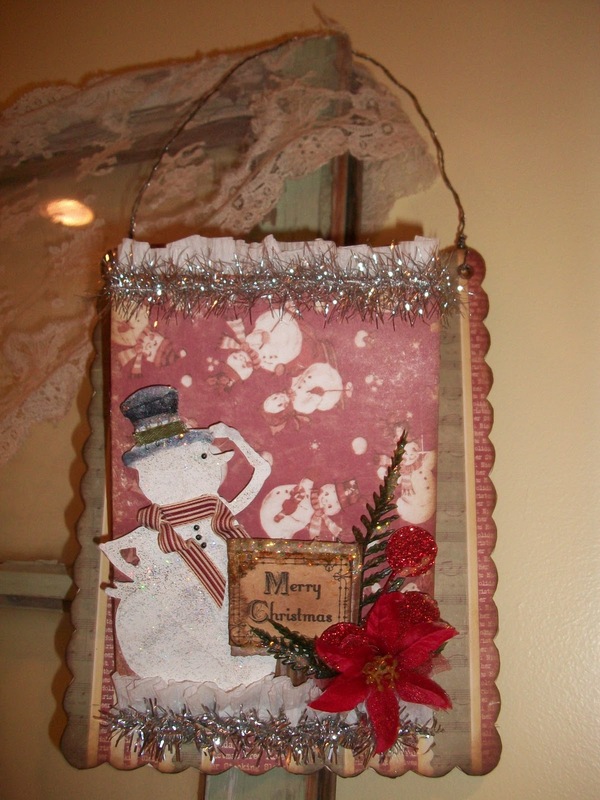 This catcher I created using Melissa Frances scrapbooking papers "Frosty & Holly" with MF's tinsel, the tiny little snowmen on the paper was so cute, I decided to die cut a Tim Holtz "snowman" out and glitter him up to be a focal point on the front!!! 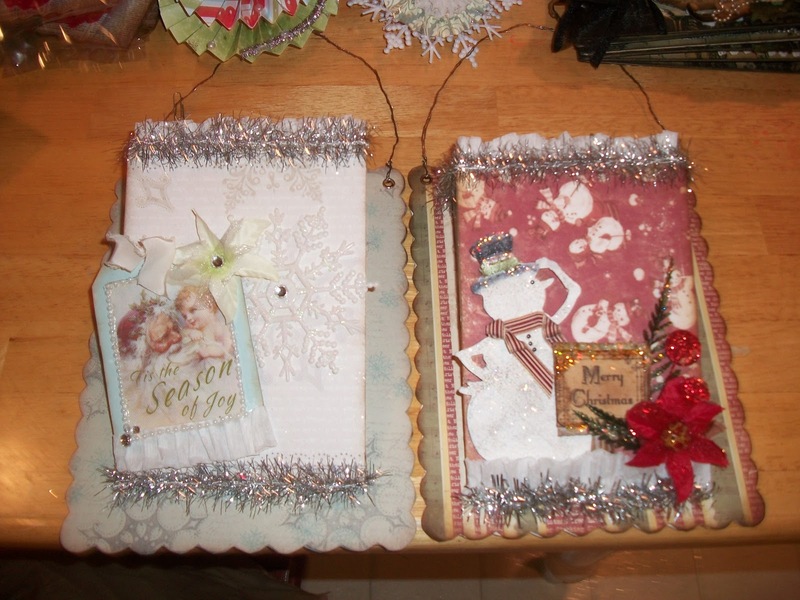 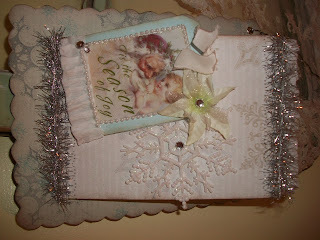 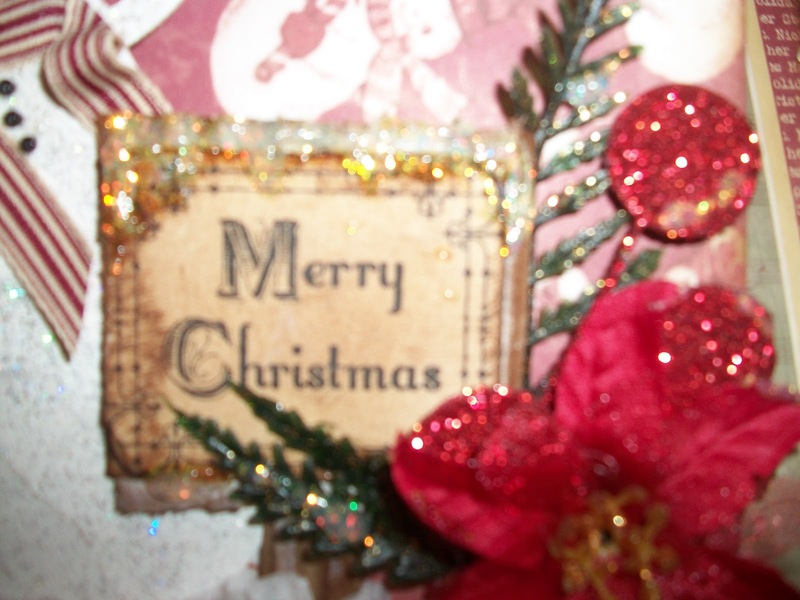 Added some embellishments, the Merry Chrsitmas stamp is from TPC Studio "Timeless Chrsitmas". 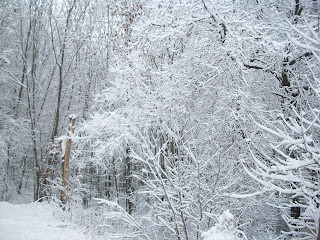 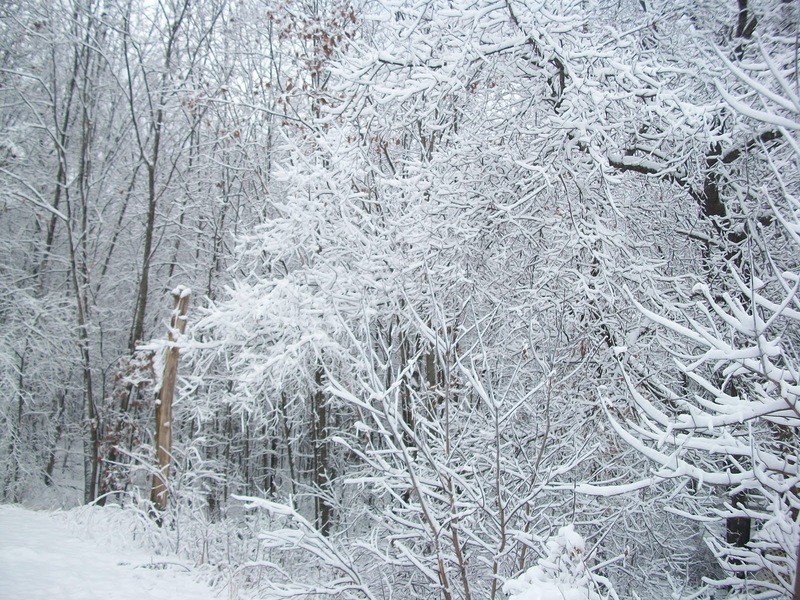 It's amazing how beautiful our four season here in New Hampshire can be, this what I woke up to last week, this photo just screams....Christmas and handmade crafting time, so snuggle in I did! 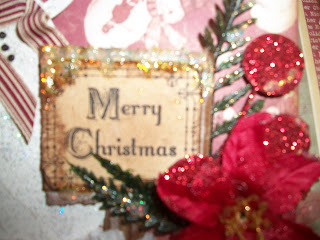 Hope you enjoy these days of creating....blog hopping and being inspired is a great way to expand your creative level and spirit but remember to give credit is do....Thanks to great blogs like Hilary's and Melissa's my creative heart has been blessed and filled with happiness. 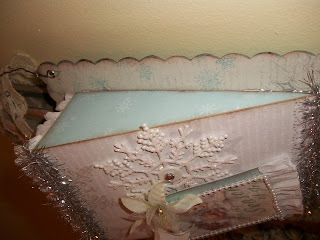 I love the antique look of the cards, very pretty!